A healthy cat is a happy cat so I try to be careful to choose nutritious food for O'Neill to enjoy. We've had him for almost 10 years and he's always been a sweet and loyal cat. 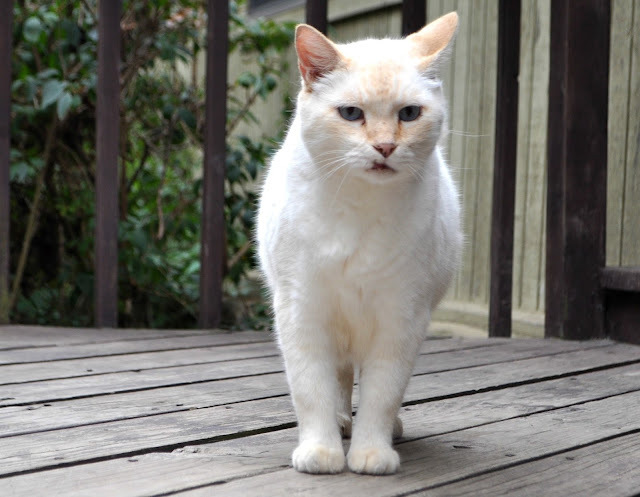 He's not one of those stuffy, nose-in-the-air felines---he's a true friend whom we've nicknamed the "Guard Cat". See that scar above his lip? That's from defending our house against a giant raccoon about eight years ago! O'Neill has several scars from fighting off raccoons, possums, and other night time trespassers. He's not scared of any of these Ozark mountain animals who want to steal his food and camp out on the porch. He even growls and stares down the foxes! It's important to me to keep him strong and healthy. 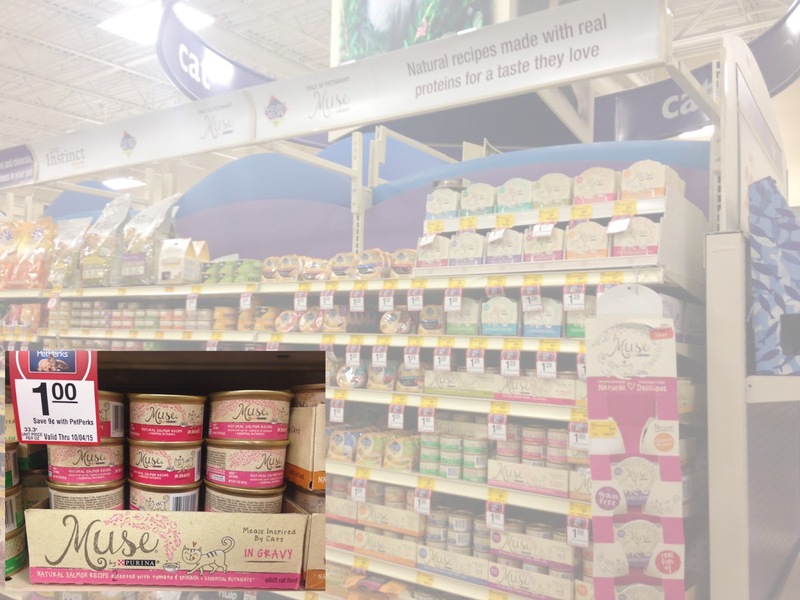 Choosing which food to buy is simple with 100% complete and balanced nutritious Muse, especially if you're looking for a quality natural food for your cat. 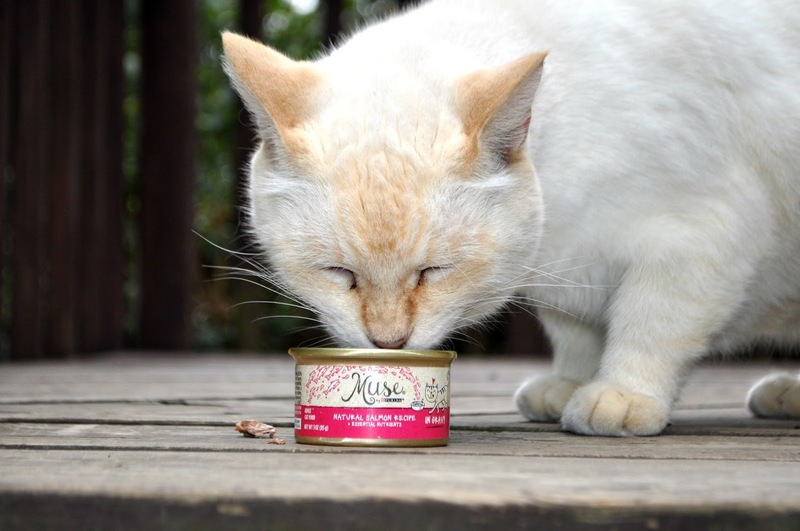 Taste is key with Purina Muse® Natural Cat Food--your cat will gladly clean her plate! Varieties of wet recipes include Chowder, Broth, Gravy, Paté, and some with Toppers. All are made with real fish or poultry and contain no colors, preservatives, or artificial flavors. Purina Muse® Natural Cat Food is only available at PetSmart. There are 30 delicious recipes to choose from with 24 grain-free varieties. Make sure to grab a coupon before you go! I like giving O'Neill a variety of flavors to enjoy. I wouldn't want to eat the same thing every single day so I like to change it up for him, too. 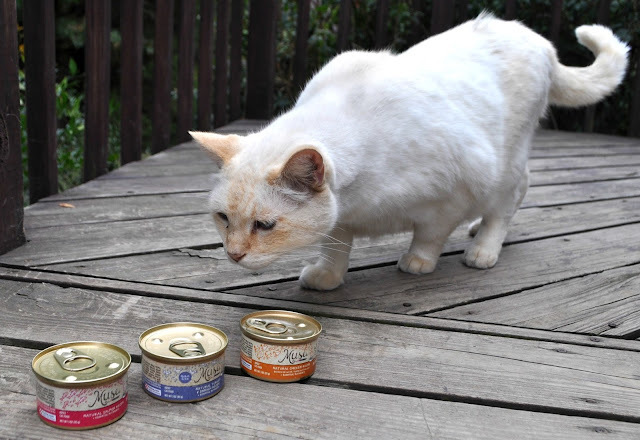 He loves wet food over dry food so he got pretty excited when he saw these three cans I'd bought him. With Muse you don’t have to choose between natural nutrition and food that tastes great. Your cat can have both when you choose Muse. Natural has never been so delicious. Put Muse to the test with our clean plate guarantee. How do you keep your cat happy and healthy? Let me know in the comments below! Oh, sweet O'Neill. I miss him! My cat loves the wet food more than dry also. I will try this for Scarlett!